Below you fill find all funeral homes and cemeteries in or near Salida. Suburbs of Salida: Cleora, Maysville, Parlin, Smeltertown, Swissvale, Turret, Wellsville. 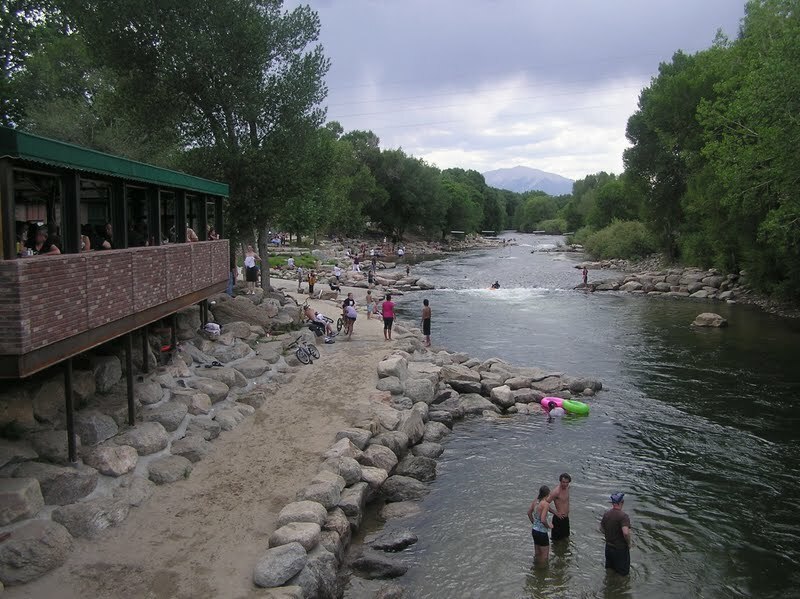 Salida is also known as: Chaffee County / Salida city. Their current mayor is Mayor Don Stephens. Zip codes in the city: 81201, 81227, 81237. Chaffee County funeral flowers can be purchased from one of the local funeral shops we partner with. Some of the notable people born here have been: Chris Guccione (baseball umpire). The City of Salida (/səˈlaɪdə/ sə-LY-də; Spanish: [saˈliða], "exit") is a Statutory City that is the county seat and most populous city of Chaffee County, Colorado, United States. The population was 5,236 at the 2010 census. It was revealed by Kearney Hub on October 28th, 2018 that Jamie Lynn "Sunshine" Rogers (Thorpe) passed on in Omaha, Nebraska. Ms. Rogers was 40 years old and was born in Salida, CO. Send flowers to share your condolences and honor Jamie Lynn "Sunshine"'s life. It was reported on May 16th, 2018 that Charles Lee Jr Morris died in Eau Claire, Wisconsin. Morris was 87 years old and was born in Salida, CO. Send flowers to express your sorrow and honor Charles Lee Jr's life. It was written on May 7th, 2018 that Kristol Anne Friel (Beauregard) passed away in Corpus Christi, Texas. Ms. Friel was 32 years old and was born in Salida, CO. Send flowers to share your condolences and honor Kristol Anne's life. It was revealed by The Mountain Mail on April 30th, 2018 that Daniel A "Danny" Granzella died in Salida, Colorado. Granzella was 91 years old. Send flowers to express your sympathy and honor Daniel A "Danny"'s life. It was revealed by The Mountain Mail on April 27th, 2018 that Alice Colleen Mitchell (Moore) died in Salida, Colorado. Ms. Mitchell was 89 years old. Send flowers to express your sorrow and honor Alice Colleen's life. It was noted by The Mountain Mail on April 26th, 2018 that Kathryn Kier (Smock) passed away in Salida, Colorado. Ms. Kier was 69 years old and was born in Meadville, PA. Send flowers to share your condolences and honor Kathryn's life. It was disclosed by The Mountain Mail on April 23rd, 2018 that Herbert "Herb" Taylor passed on in Salida, Colorado. Taylor was 94 years old and was born in Clarksburg, WV. Send flowers to express your sorrow and honor Herbert "Herb"'s life. It was noted by The Mountain Mail on April 16th, 2018 that Elsie Jean Griffith (Simonich) perished in Salida, Colorado. Ms. Griffith was 85 years old. Send flowers to express your sympathy and honor Elsie Jean's life. It was noted by The Mountain Mail on April 16th, 2018 that Donald L Parrack passed on in Salida, Colorado. Parrack was 86 years old. Send flowers to express your sympathy and honor Donald L's life. It was revealed on April 12th, 2018 that Dewey E Baker passed on in San Marcos, California. 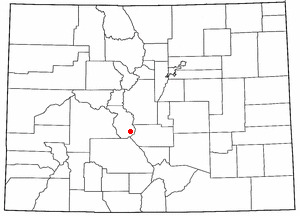 Baker was 88 years old and was born in Salida, CO. Send flowers to share your condolences and honor Dewey E's life. The population was 5,504 at the US Census 2000. The City of Salida is a Colorado municipalities#Statutory_City City that is the county seat and most populous city of Chaffee County, Colorado County, Colorado, United States. . . . The official website for the city of Salida is http://cityofsalida.com/. Mossman, Salida CO and George A. Mossman and wife Andrea ... Arrangements provided by Brinsfield Funeral Home. Glenn, Tim - Lewis & Glenn Funeral Home, Salida, CO : Reviews and maps - Yahoo! Local, 719.539.3831. Get Ratings, Reviews, Photos and more on Yahoo! Local. We work with local florists and flower shops to offer same day delivery. You will find budget sympathy flowers in Salida here. Our funeral flowers are cheap in price but not in value.